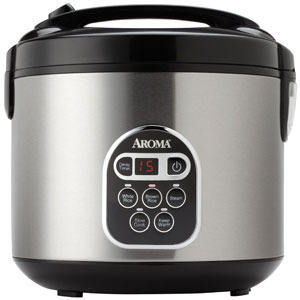 When Aroma and I first started discussing a review, I really did not know what to expect from a rice cooker AND food steamer. Then the Aroma rep told me that it also worked as a slow cooker. I was really skeptical. One device that does ALL that? And it does! It really does! I am so in loved with this thing, you would not even believe it. We have been using it almost every night, but tonight we decided to try a recipe from Aroma. Just throw in the ingredients and your rice cooker will take care of the rest. Prep: 5 min. Total: 30 min. Yield: Serves 4. Place all ingredients in the inner pot and stir. Place inner pot into the rice cooker, cover and press the Steam/Cook button. Allow to cook until rice cooker switches to Keep-Warm mode. Add salt to taste. Stir and serve immediately as a main course. This recipe came from the Aroma website HERE. We used ingredients on hand and used regular white rice instead of medium-grain rice. We also used table salt to replace the kosher sale. We were so excited to share the Aroma Rice Cooker and Food Steamer that we even made our first Video Blog! The Aroma Rice Cooker and Food Steamer can is digital and has a setting for White Rice, Brown rice, Slow Cook, and Delay Time. It is AMAZING! I love having just one device because my kitchen is so small without a lot of counter space. This device takes the place of so many other items, and the entire family loves it! You can find the device and all of the techincal details on their website HERE. 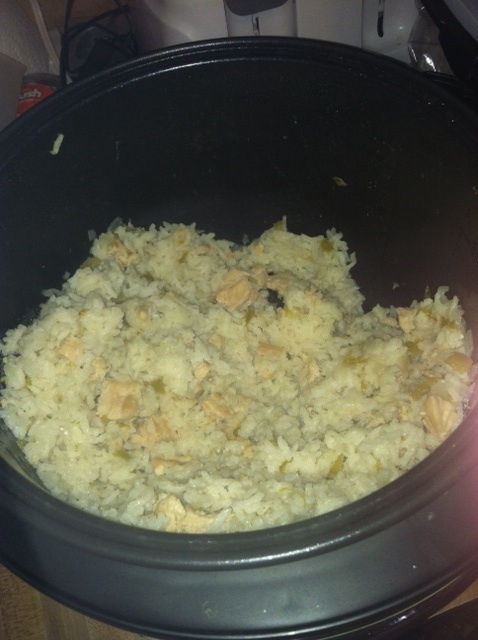 MamaBreak received the rice cooker so that we could adequately review it here on the site. We did not receive any other kind of compensation. As always, our experiences and opinions are our own. Thank you! It is an amazing device to have in the kitchen! Ahh, That video made me so hungry. You have to make it! It was SOOO yummy! Even the kids loved it! 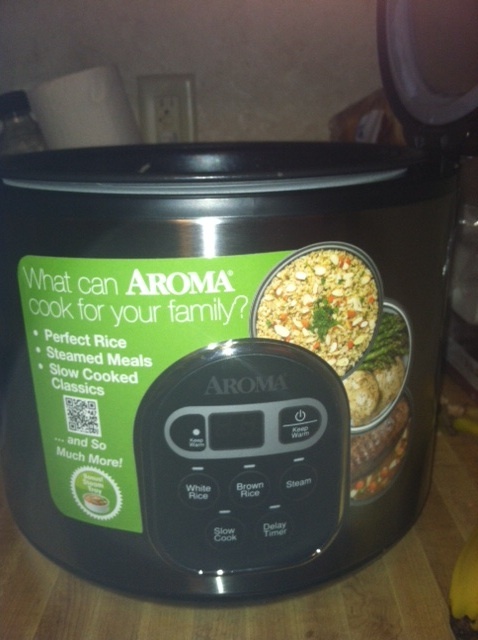 I have an aroma rice cooker/steamer and absolutely love it! I use it at last once a week! Great review, thanks. I love rice. Great review!! I love how you can just set it and forget it! What a great product! I could so use this!! Looks like a nice cooker! Your recipe sounds good too! I love rice cookers! Thanks for the recipe it looks delish! Nice! I would love to have one of these! This sounds so neat, I really need to get a new one my son droped mine off the top shelf, This one looks amazing.